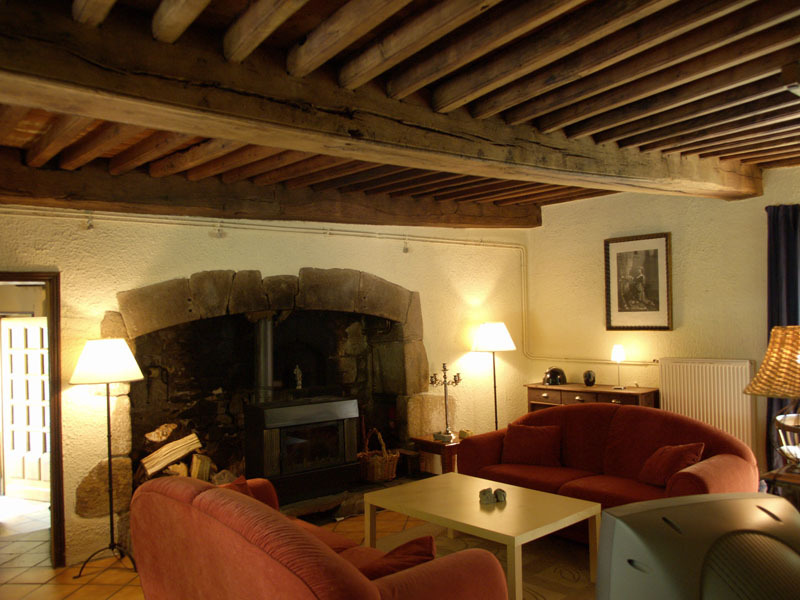 Have you ever stayed in a watermill? Than this is one of the few chances you'll get. 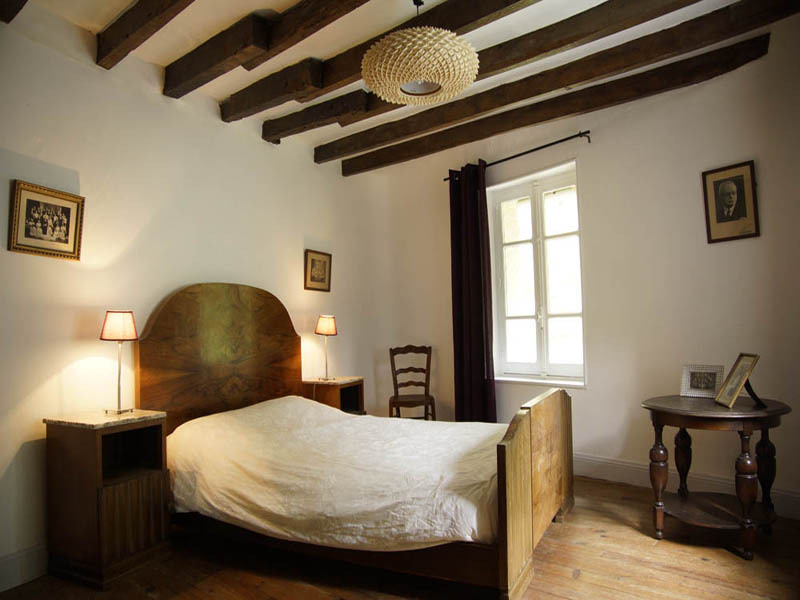 Spend your holidays in Moulin de Laval in the centre of France. In this former watermill, neighbours are nonexistent: no hear, no see. You will enjoy flowers, plants, trees and the rustling brook next to the house. You can't be more private. 'Just paradise', as one of our guests said. We agree. The living room still has its original beams on the ceiling and a fireplace with a woodstove. There is a laptop with wifi at your convenience, with separate loudspeakers and an unlimited Spotify subscription. 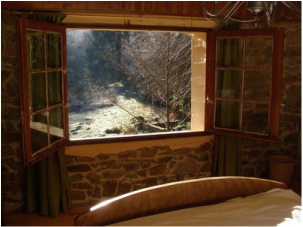 The rock room is the bed room with the best view of the valley that Moulin de Laval is in. The room derives its name from the rock wall on one side. It contains a double bed, two antique bedside tables and a chest of drawers from the fifties. The brook room is closest to the brook (Auzelle). You can see it from both windows and also hear it when you open them. It contains a double bed, two antique bedside tables and a matching cupboard.